As it's back to school week for most mums, I've got some special posts planned, based around my 5 must-haves for the school gate this autumn - and I also have a fab competition running this week. Full details in tomorrow's blog! Today, I'm tackling School Gate Style's must have item number 1. 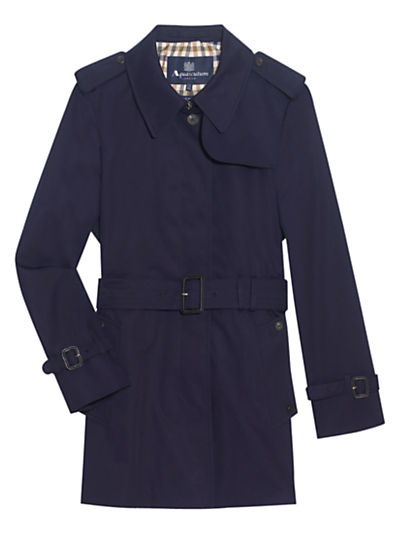 A great trench coat or mac is one of the best investments you'll make. It can be worn most of autumn and spring (and indeed Summer if we get another one like that). 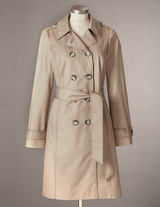 A trench coat looks effortlessly stylish and covers a multitude of unplanned outfits. It can also be worn on a night out over a gorgeous LBD. So versatile. For day 1 back at school, I wore my M&S trench (old but check below for M&S most recent trench coat offerings). It's a classic taupe/beige mac, which will match lots in your wardrobe but navy or grey work equally well. Wearing with my Room 31 jeans, white top from Zara (which is cowl neck but doesn't look it in the photos), burgundy pumps from Clarks and my old Burberry Haymarket Bowling Bag. Lusting over Burberry trenches gave me the idea to pull it out of its dust bag. Mr SGS bought it for me when I was pregnant the first time so it's almost 9 years old now. Was the height of fashion back then but the check has fallen out of favour in recent years. I'm hoping it's starting to become a bit vintage now? I have shoes like that too - must get them out! 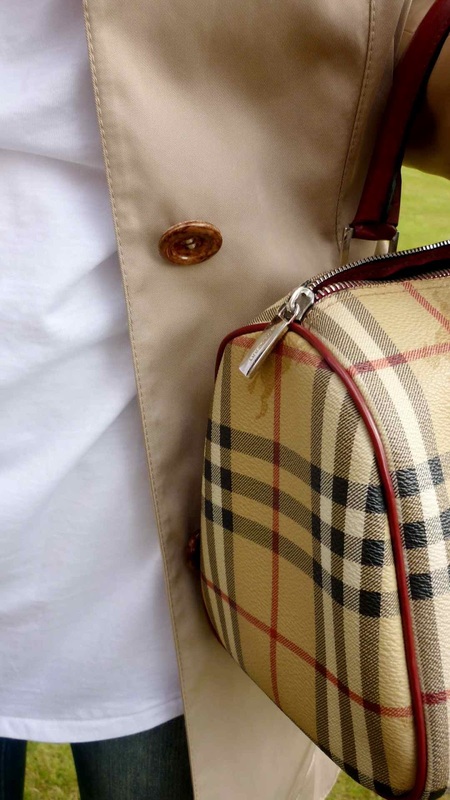 I have a similar Burberry tote - it was inherited from my sister and bearing in mind I first carried it on a school trip when I was 16 - that makes mine very vintage. 26 years vintage! Ouch - doesn't bear thinking about. 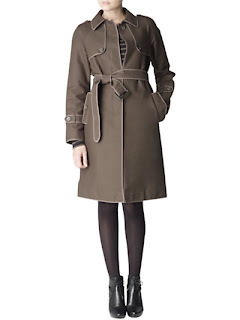 Oh how I covet a Burberry trench! I'll have to make do with my old faithful TK Maxx bargain for now! I couldn't agree more about trenches! I love my burberry one and don't ever think it will go out of style! Yay glad you brought your bag back out! Love it! Nice photos and really cool outfit, you look great, I like your jeans, what a great color and that trench is so nice, the perfect touch to the outfit also your flats are pretty! Your blog is lovely by the way and I am a new follower on GFC and Bloglovin! Hope you will like my blog and follow back! You look so chic! I bet the mums in tracksuits, who skid up to the school gate just as the bell is ringing (yes, hands up, I'm guilty!) are green with envy when they see you. I love my orange mac I picked up in the M % Co sale for £19. YOu wear the mac so well. You look very stylish! Love the bag and trench coat! I bough a similar one from M and S (remember the Easy Living pic ?!!) and love it,.....They are washable too! 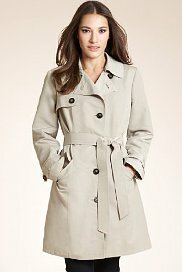 Very much agree that a trench coat is a fall must!! I have one that I absolutely love but think I'm going to invest in another this fall. seeing this,I really feel I need to invest in one too ! Love a trench coat - my Dad bought me a navy Daks one, a real classic and it comes out every year! Such classic outfit, love it! And, so glad you kept the fabulous bag!